Topics: Services, and Together We Ride. 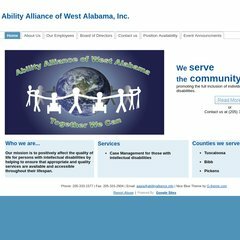 abilityalliance.info Employment Guide of Supports and Services Available in Pickens and .. It is hosted by The Endurance International Group Inc (Massachusetts, Burlington,) using Nginx web server. Its 2 nameservers are ns1.fatcow.com, and ns2.fatcow.com. Abilityalliance.info's IP address is 65.254.248.149.